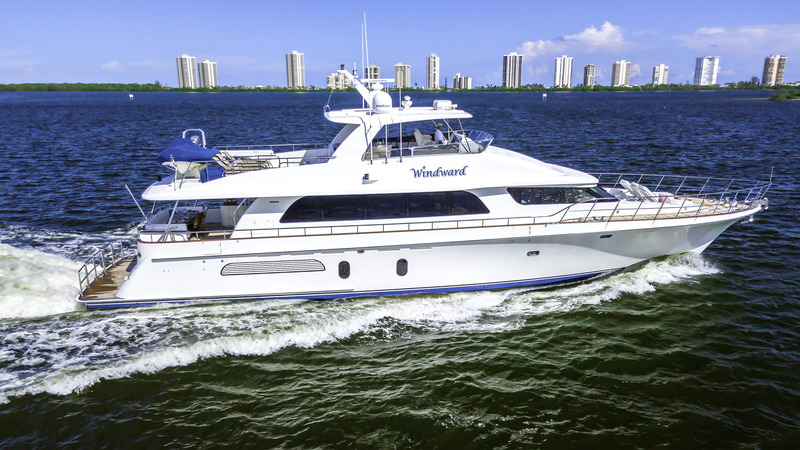 Built by Cheoy Lee Yachts with naval architecture from Tom Fexas, 27m/90ft superyacht WINDWARD was launched in 2006 and last refitted in 2017. 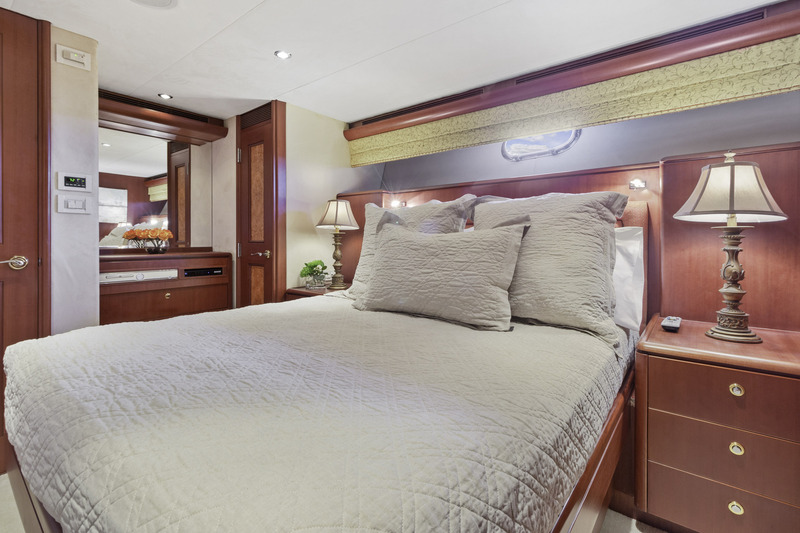 Her accommodation sleeps a maximum of six guests over three cabins. 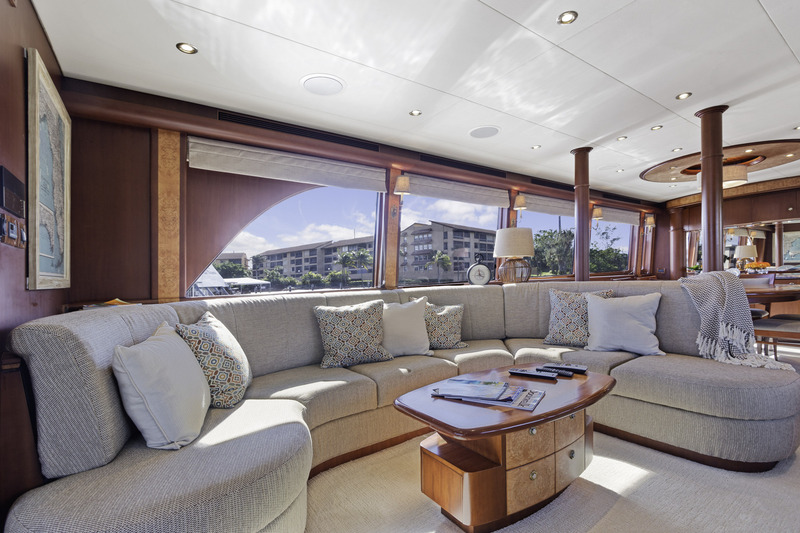 The foredeck is beautifully laid out with three sumptuous sun loungers with cushions accentuating the space with a contemporary palette. 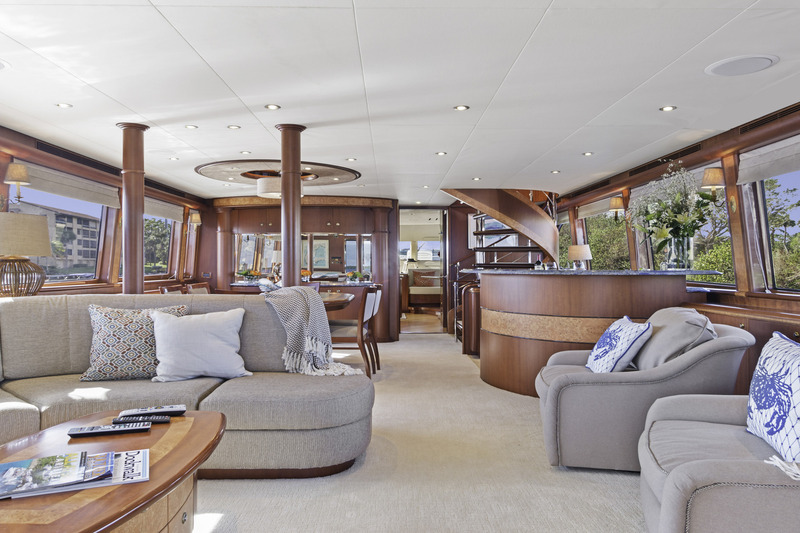 The main deck aft has a C-shaped sofa, two chairs and a large table for alfresco dining and spending time outdoors with hobbies. 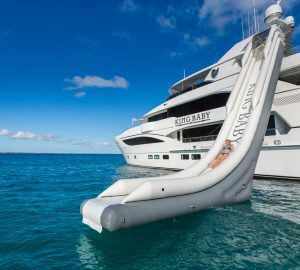 A staircase leads down to the large swim platform which can be used as an additional sunbathing spot as well a a place to board the tenders. 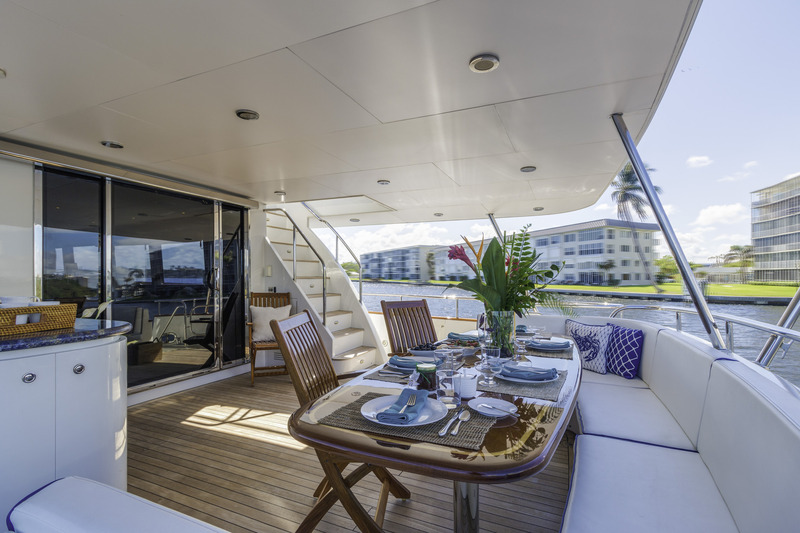 On the flybridge, the aft section is laid out with three sun loungers while under the shaded hardtop there is a spacious alfresco dining table and a bar. 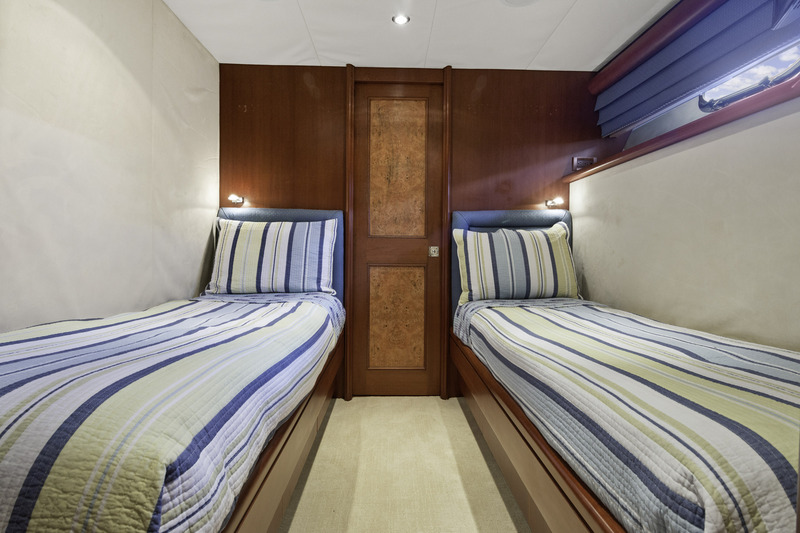 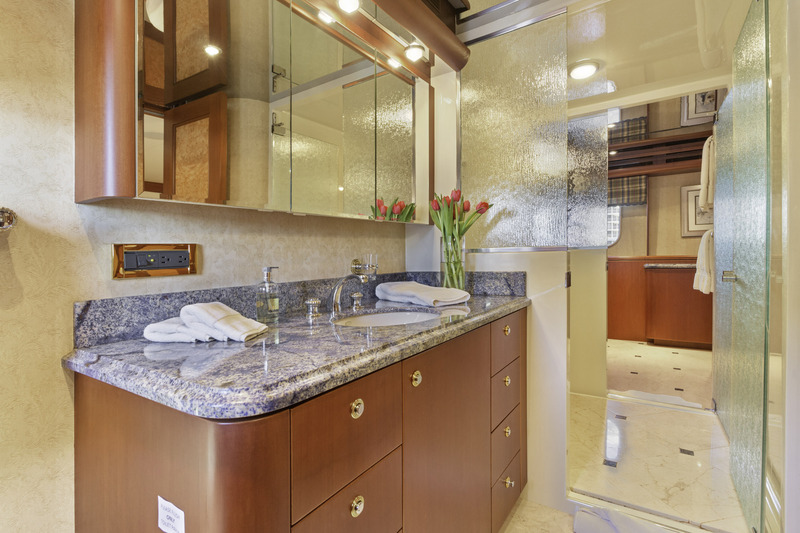 The lower deck hosts the guest accommodation, which consists of a Master suite, a double cabin and a twin cabin that can be converted to a double. 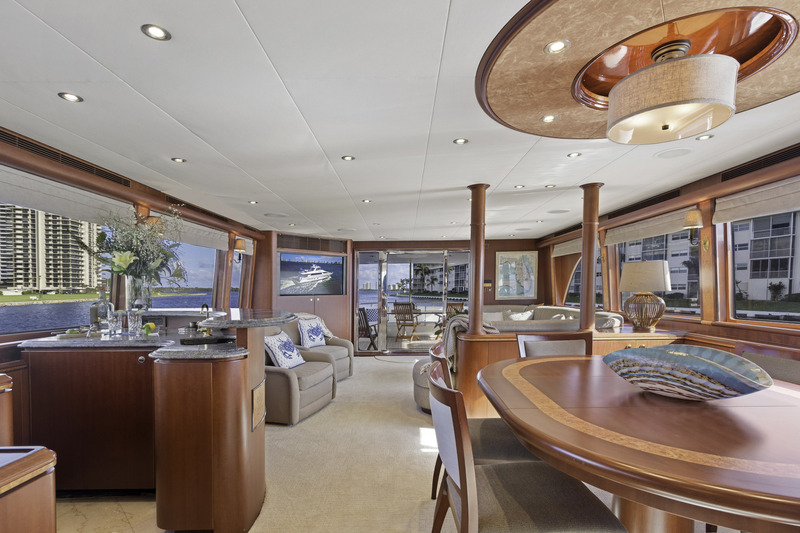 On the main deck, the salon combines timeless styling with modern trends to create interesting and inviting social areas: The aft salon section has a C-shaped sofa and two arm chairs placed close to the windows to benefit from the views and natural light. 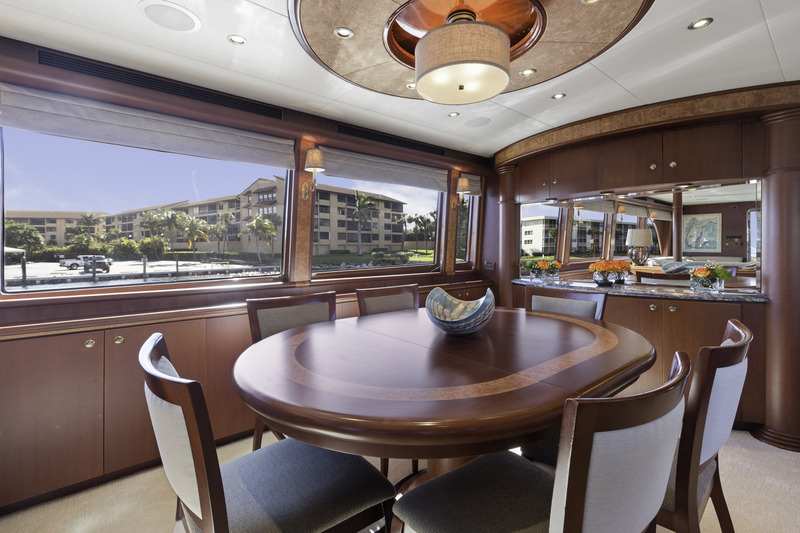 Farther forward, an oval table on the port side creates an elegant formal dining area and opposite the large bar has an excellent selection of spirits to complement any meal. 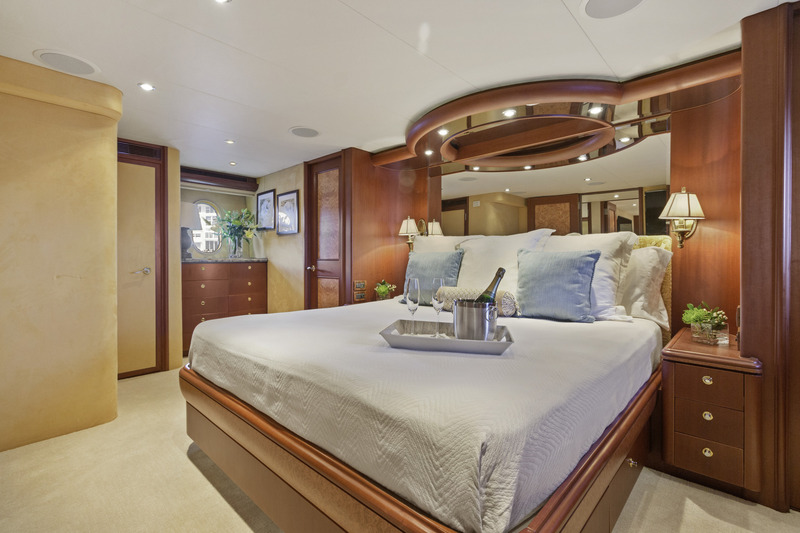 The accommodation provides for up to 6 guests over 3 cabins: 1 Master suite, 1 double cabin and 1 twin cabin convertible to a double. 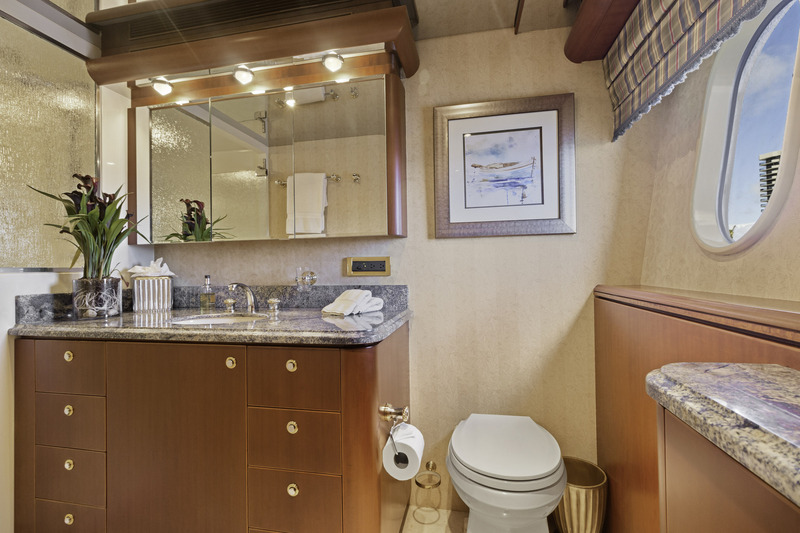 The expert crew of 3 will provide first-class service throughout the cruise. 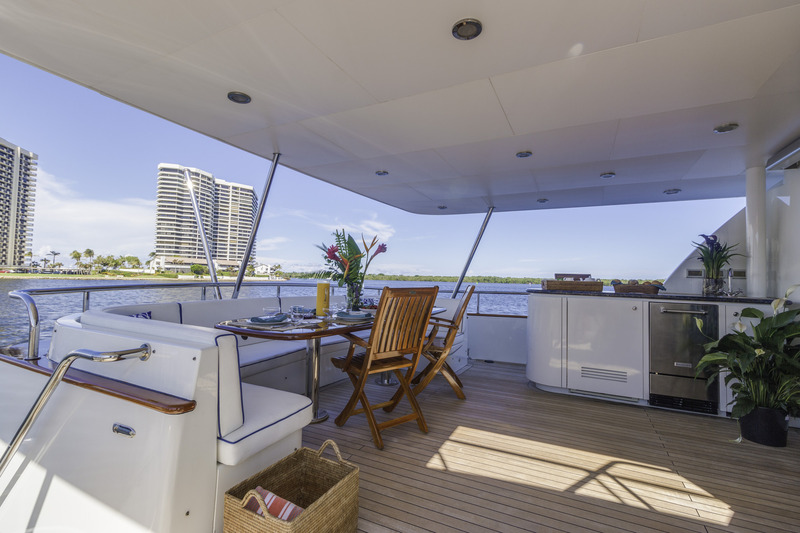 10 x 10 beach tent with 8 chairs, 8 x snorkelling equipment, fishing gear, 26' Grady White center console with Twin 200 HP engines (tournament rigged), 15' Novurania Rib with 90 HP Yamaha, ski tube, paddleboards, wake board, 8-person floating lounge, complete beach picnic set-up with portable grill.